These campaigns were primarily funded by $3M in grants from the Open Philanthropy Project, split between four groups: the Humane League, Mercy for Animals, the Humane Society of the United States' Farm Animal Protection Campaign, and Compassion in World Farming USA. (International campaigns using similar tactics, funded by $3.8M in Open Philanthropy Project grants, have secured pledges from corporate giants in Canada, Colombia, Brazil, France, Germany, Mexico, and the UK.) However, it’s worth noting that much or all of the success may have been inevitable once the early pledges (which preceded our funding) were achieved. I won’t cover the topic of how different cage-free systems are for birds than cages, which is the subject of an ongoing Open Philanthropy Project investigation. I also won’t cover how we chose to prioritize cage-free campaigns, which is the subject of a prior blog post Initial Grants to Support Corporate Cage-free Reforms. Finally, I won't go into detail about the causal attribution between the pledges and the advocates' work; I feel confident that the former would not have happened without the latter, but making that case is not the focus of this post. Undercover investigations: For 15 years, advocates sent undercover investigators into egg factory farms to expose the cruelty of battery cages. Recent investigations ran on national broadcast news, exposing cruelty in the supply chains of corporate giants. College engagement: Starting a decade ago, advocates campaigned to get universities to go cage-free, starting with big names likes Stanford. These campaigns legitimized the issue, trained activists who would later lead the corporate campaigns, and put pressure on campus food service providers like Aramark to adopt policies. Corporate engagement: Advocates secured early 100% cage-free pledges from some socially responsible companies (e.g. 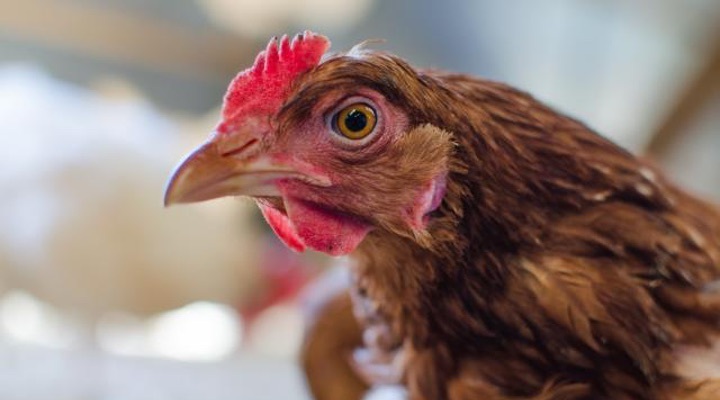 Whole Foods and Unilever), and pledges to use 2-5% cage-free eggs from fast food chains (e.g. IHOP and Burger King). This caused these companies’ egg producers to develop some cage-free capacity, which in turn made it easier for them to expand cage-free supply later. Ballot measures: In 2008, advocates enacted an effective battery cage ban in California, which the Legislature extended in 2010 to cover the sale of eggs in the state. Coupled with a Michigan ban on battery cages, this put pressure on producers to change. Gestation crate pledges: Starting in 2012, advocates secured commitments from over 60 major food companies, including McDonald’s and Costco, to eliminate gestation crates from their supply chains. This further set the stage for campaigning on the cage issue. European precedent: The European Union already banned battery cages, though it allows bigger "enriched cages." A few nations, including Switzerland, banned all cages, while others, like the United Kingdom, adopted significant cage-free capacity. Wherever possible, advocates sought to work cooperatively with companies to adopt cage-free policies. Relationship building. Advocates, over the course of a decade, built relationships with the key decision makers at large food companies, and identified supporters of reform within each company. Leveraging UK progress. Many multinationals were already cage-free in the UK due to advocacy there. Advocates used this, e.g. after McDonald’s put its UK CEO in charge of its global operations, British advocates reached out to him, contributing to the company’s subsequent major pledge. Investor relations. Advocates filed "laudatory" shareholder proposals thanking major companies for their animal welfare work (e.g. for gestation crate pledges), helping companies see themselves as pro-animal welfare. Technical support. Annually for many years, advocates held days-long sessions with company food buyers to help them develop and implement cage-free policies appropriate for their companies. Industry periodical advertising. Advocates placed ads in Supermarket News, Progressive Grocer, and Restaurant News to compliment new corporate policies, both to affirm companies’ decisions and signal the trend to the companies’ peers. Sector by sector focus. Advocates first worked with foodservice companies, then fast food chains, then food manufacturers, and finally grocers. This allowed advocates to build up competitive pressure within each industry for companies to follow their peers. Where companies refused to adopt a cage-free policy, or refused to meet with advocates at all, they launched campaigns to push the issue. Focusing on a single issue. Most major farm animal advocacy groups agreed to focus on a single issue for the first time. This both built stronger campaigns and created a clearer and more reasonable ask for companies, which previously were confronted with multiple calls to do different things. Establishing expectations. Before each campaign, advocates tried to meet with the company to outline the imminent campaign. In many cases, after seeing the campaign plan companies committed to a cage-free policy. Social media. Advocates mobilized supporters to sign Change.org petitions, comment on companies’ Facebook pages, and otherwise reach the company via social media to urge them to improve their practices. Online video. Advocates created YouTube and Facebook videos to alert companies’ consumers to the suffering of hens in their supply chains. This tactic worked especially well because the reality of hens’ treatment conflicted with the images that companies had portrayed, leading consumers to feel deceived. Grassroots activism. Activists organized street protests outside of stores and restaurants, and at foodservice companies’ campus accounts, and mobilized supporters to call and email the company to express their support for cage-free policies. Targeted advertising. Advocates took out outdoor ads around company HQ’s, targeted online ads, and sometimes full-page newspaper ads and even TV ads to put pressure on particularly stubborn companies. Celebrities. In particularly tough campaigns, advocates called on celebrities, including Brad Pitt and Ryan Gosling, whose letters to companies calling for reform generated significant news coverage. Investor relations. Advocates bought stock in target companies, filed shareholder resolutions, and secured the support of institutional investors for reforms. Below is my impression of the key events in the timeline for cage-free reforms. Because I feel confident that these pledges would not have happened without advocates' work, I use phrases like "secured" and "won," but have not gone into detail on the evidence for this causal link. Pre-2005: The animal welfare movement largely ignored farm animals (Henry Spira and People for the Ethical Treatment of Animals were notable exceptions), focusing instead on companion animals, animal testing, wildlife, and fur. The Humane League (THL) and Compassion in World Farming (CIWF) USA didn’t yet exist; the Humane Society of the United States (HSUS) didn’t yet have a factory farming campaign; and Mercy for Animals (MFA) was a two person operation. From 2005-2011, farm animals became a bigger focus for animal advocates, who slowly started cage-free campaigns. HSUS secured the early corporate wins described above, e.g. Unilever, and the ballot measure wins, e.g. California’s Prop 2. Meanwhile THL and student activists secured campus cage-free commitments. In 2011, the ballot measure campaigning stopped after HSUS reached a compromise deal with the United Egg Producers, the egg industry’s trade association. The egg producers agreed to stop defending battery cages, and instead to jointly push for national legislation mandating larger "enriched cages" and on-carton labeling of production system. During this period, HSUS largely focused on gestation crates in their corporate campaigns. In 2014, that deal fell apart after Congress refused to enact the HSUS-egg industry compromise legislation. (The pork and beef industries lobbied against it, fearing the precedent of national farm animal welfare legislation.) Advocates took several months to close out other issues they were working on at the time, e.g. gestation crate campaigns. But in late 2014 and early 2015, advocates began to focus on battery cages, and won the first major corporate commitments, e.g. Aramark and Sodexo in early 2015. In 2015 several background factors came together: California’s Prop Two and the subsequent sales law went into force on Jan 1, 2015, requiring all eggs produced and sold in California to come from hens given enough space to turn around, lie down, stand up, and flap their wings; and a few major undercover investigations into battery cages got national attention. The major foodservice companies and Costco then pledged to go cage-free following campaigns. In September 2015, McDonald’s pledged to go cage-free in North America. This was a critical domino: in the months after, advocates were able to secure pledges from Taco Bell, Wendy’s, and other major fast food chains. At the start of 2016, the Open Philanthropy grants allowed the groups to scale up substantially. This allowed the groups to launch more campaigns simultaneously, and to launch bigger campaigns. A few months later, they secured the biggest wins, when Safeway, Kroger, Albertsons, and Walmart pledged to go cage-free following major campaigns. Through the rest of 2016, advocates used this momentum, and their increased resources, to secure corporate pledges from the top 25 grocers in the US, most of the top 20 restaurant chains, and most of the top 20 food manufacturing companies. The groups then asked for support to expand their cage-free campaigns across the Americas, Europe, and India. The Open Philanthropy Project in mid-2016 recommended $3.8M in grants to seven groups to support this work. Since then, these groups have secured cage-free pledges from most of the largest grocers in Canada, the United Kingdom, France and Germany, and from Latin America’s largest fast food chains and franchisees. They’ve also secured global cage-free pledges from foodservice giants Compass Group and Aramark, food manufacturers including General Mills, and grocers like Aldi Nord and Lidl. Their work continues.